We’ve all seen them. 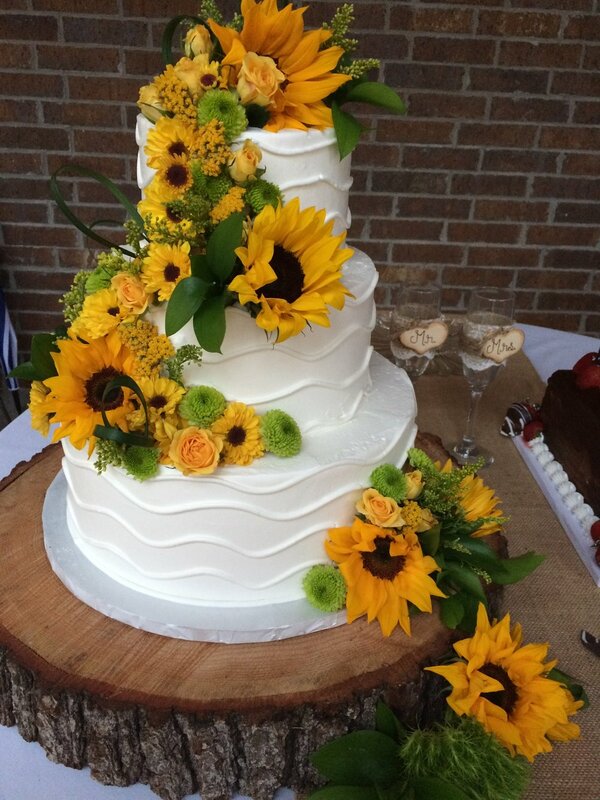 The photos of wedding receptions outside on beautiful wood tables or under large full trees but to make sure everything goes as planned, Laura Talbot with Ms. Laura’s Cakes is here to give you a few things to keep in mind when cake is involved. Frosting is made with butter. It melts. 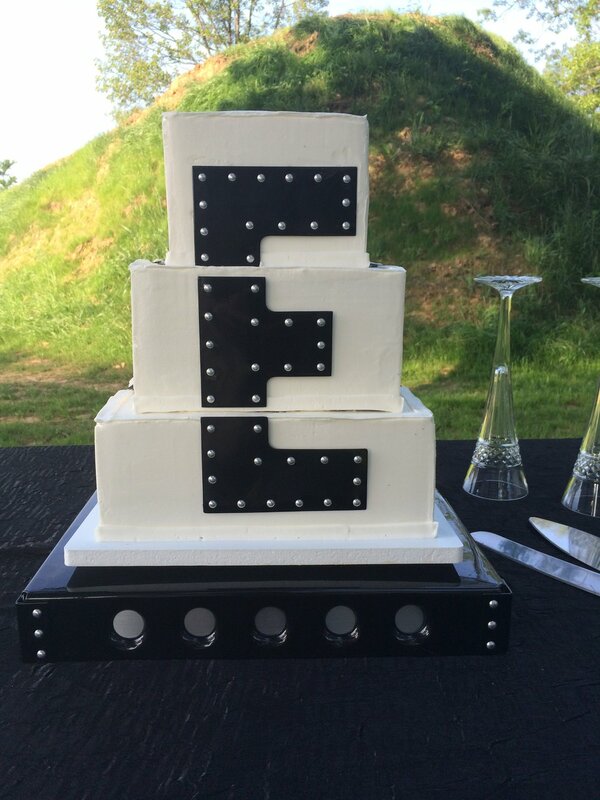 Putting cakes outside exposes them to the elements: heat, wind, dirt in the wind, birds (birds poop), squirrels, bugs, ants, as well as cats and dogs that may be a part of the property or even part of the ceremony. However pets don’t know they aren’t supposed to eat the cake and may stick their snout up there and lick it. Lets not forget about the ground. I have never encountered a patch of level dirt and grass suitable for the needs of a cake table. Just putting a table outside and eyeballing its levity won’t cut it. You don’t want your cake to lean or fall do you? Neither do I. You will need to get wood and shims (shims are tapered wedges of work that you can get at any hardware store or local walmart or target) and use a level. Make that table straight. Also putting a piece of plywood on the ground for the table to be places on is a fantastic idea as often times the cake is heavy and the table legs can sink into the ground causing the table to become un-level again. The plywood stops the legs from sinking into the dirt. I’ve had many clients ask what frosting doesn’t melt outside. My guess is they ask this because they know frosting melts but they want to have a way to get around being able to stick their cake outside for hours without trouble. The answer? Have cake with no frosting (that means no yummy filling either) because all frosting and filling will melt.